Four Direct Contact heatpipes with funnel shaped aluminum fins provide higher efficiency and excellent heat dissipation compared to generic metal bases. 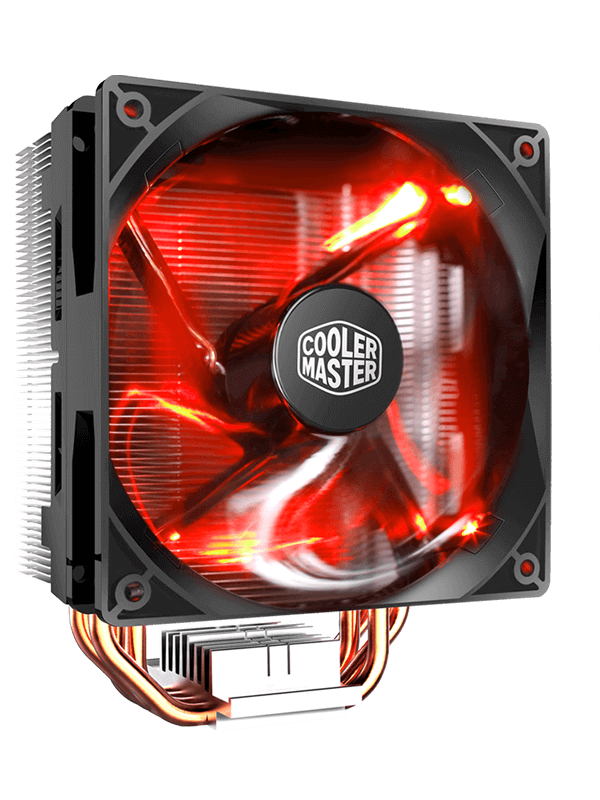 Increase cooling performance by adding an optional second 120mm fan. New 120mm PWM fan with anti-vibration rubber pads and wide 600-2000 RPM range and quick-snap cover for easy fan installation. Note * Due to mechanical limitations, AM4 upgrade kit is only supported by the Hyper 212 LED_AM4 compatible version. To find out your existing cooler’s compatibility, please check here.